Another cover story. 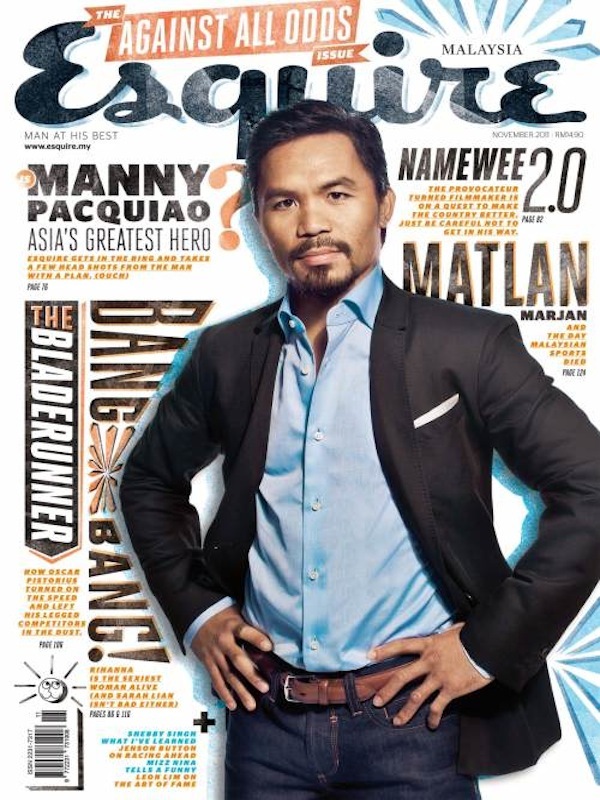 Esquire Malaysia is running my Pacquiao profile in its latest issue. This entry was written by Poole, posted on October 27, 2011 at 5:43 pm, filed under PacMan, Uncategorized. Bookmark the permalink. Follow any comments here with the RSS feed for this post.